Jerry Eisen and David Pietrewicz scored 0.28 masterpoints with a 53.41% game at Bridge On Shea. See full results of this game. Linda Herman and Patty Scudder scored 0.57 masterpoints with a 53.85% game at In Tempo Bridge Club. See full results of this game. Jerry Eisen and David Pietrewicz scored 0.53 masterpoints with a 55.39% game at Bridge On Shea. See full results of this game. Mira Perlman and Debbie Leeb scored 1.40 masterpoints with a 55.83% game at Clark Ransom. See full results of this game. Carole Feingold and Ron Feingold scored 0.50 masterpoints with a ★64.29%★ game at Clark Ransom. See full results of this game. Maddy Bloom and Edward Schwartz scored 0.95 masterpoints with a 55.26% game at Bridge On Shea. See full results of this game. Ronald Doubek and Jeanne Gorman scored 0.31 masterpoints with a 48.08% game at In Tempo Bridge Club. See full results of this game. Mark Olsky and Gail Rineberg scored 2.38 masterpoints with a ★61.43%★ game at Bridge On Shea. See full results of this game. Linda Herman and Patty Scudder scored 0.30 masterpoints with a 48.08% game at In Tempo Bridge Club. See full results of this game. Jerry Eisen and David Pietrewicz scored 1.04 masterpoints with a 55.8% game at Bridge On Shea. See full results of this game. Carole Feingold and Ron Feingold scored 2.92 masterpoints with a ★63.05%★ game at Clark Ransom. See full results of this game. Linda Herman and Patty Scudder scored 1.05 masterpoints with a 56.92% game at In Tempo Bridge Club. See full results of this game. 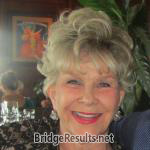 Linda Herman and Patty Scudder scored 0.21 masterpoints with a 50.2% game at In Tempo Bridge Club. See full results of this game. Carole Feingold and Ron Feingold scored 0.54 masterpoints with a 49.91% game at Bridge On Shea. See full results of this game. 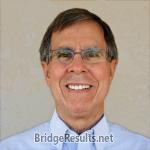 Ronald Doubek and Jeanne Gorman scored 0.19 masterpoints with a 50.84% game at In Tempo Bridge Club. See full results of this game. Ronald Doubek and Jeanne Gorman scored 0.56 masterpoints with a 54.43% game at In Tempo Bridge Club. See full results of this game.